Go ahead and scroll down below the video to begin learning more about the latest version of the Chevrolet Impala. It's our obligation to supply Chevrolet reviews transcribed by the most perfect automotive writers in the business - it's just one of the things that makes us a premier Chevrolet retailer in Phoenix. This article will tell you exactly what you're looking for. 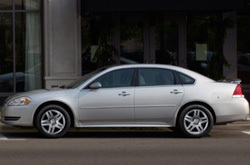 As your Phoenix Chevrolet retailer, you can be confident of on us for actionable information on the 2013 Chevrolet Impala. Get started by reading the full review or watching the video. Check out the 2013 Chevrolet Impala against versus similar autos like the 2013 Chrysler 200, Toyota Avalon, Buick Regal and the Ford Taurus, and you will realize that the 2013 Impala ranks above those vehicles in numerous areas. Take a look at the reasons see why! 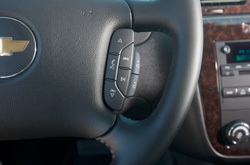 See inside the 2013 Chevrolet Impala - view video here! Get reliable factory parts and phenomenal workmanship from Chevrolet technicians at a site that's just a short jaunt from where you live. At our Chevrolet auto repair center in Phoenix, we offer this and a extensive warranty on all jobs! When you bring your Impala to our auto repair shop in Phoenix, you'll get tried-and-true service from our well-versed mechanics. We work on a gamut of jobs: from challenging, intricate tasks like muffler maintenance to straightforward stuff like brake pad replacement and conventional oil changes. Above this you can always get fair prices on all jobs, as well as one-on-one service every time you visit Midway Chevrolet. The next link is your highway to astounding savings. Click now to be lead to to Midway Chevrolet's specials.